Presenting his arguments before the three-member judicial commission (JC) investigating rigging allegations in the 2013 General Elections, Pakistan Tehreek-e-Insaf (PTI) counsel Abdul Hafeez Pirzada on Monday alleged that the Election Commission of Pakistan (ECP) “remained non-cooperative” and did not produce documents which the PTI intended to present as evidence before the JC. The PTI’s counsel argued that the stamped ballot papers presented before the commission “pointed towards wrongdoing”. He claimed that the ECP left Forms XV in possession of Returning Officers (ROs), which was not permissible under the rules. He added that except a few constituencies, Forms XV of the polling stations were incomplete or missing. As Pirzada pointed out that the number of registered voters in Sindh and Balochistan decreased in 2013 elections as compared to the situation in 2008 polls, Chief Justice of Pakistan (CJP) Nasirul Mulk said that it was possible that ECP would have verified the voters’ list and removed bogus entries. Moreover, the PTI’s counsel pointed out the election process and the polling in Balochistan was marred by broken seals of election bags with zero percent vote casting and Forms XV remaining missing. The PTI’s response in court comes a day after ECP said that opposition parties, including the PTI, failed to provide any evidence regarding “systematic and planned rigging” in the 2013 general elections, declaring that the poll results were a “true reflection of the people’s mandate”. “The General Elections 2013 were not manipulated or influenced pursuant to a systematic effort or design by anyone. 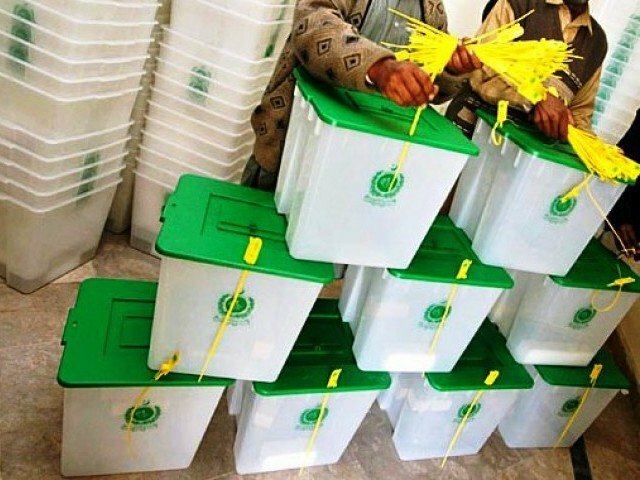 The results on an overall basis are a true and fair reflection of the mandate given by the electorates,” the ECP had said in a 33-page response submitted to the poll enquiry commission. “The mere possibility of wrongdoing is not even circumstantial evidence of actual wrongdoing,” the ECP had maintained in its response submitted through its counsel Salman Akram Raja. However, it does admit administrative lapses by the election staff. Furthermore, the ECP had previously contended that Forms XV for 60,634 polling stations, of a total of 69,763 polling stations, were available. “The deficiency in the available record of Forms XV may, however, be placed in the context of the fact that Forms XV are nearly all available despite the lapse of two years. No evidence has been produced to suggest that there was any deliberate scheme either to not generate Forms XV on polling day or to remove Forms XV from the record. The fact that some record is not available now does not necessarily imply that it was never generated,” the ECP had said.